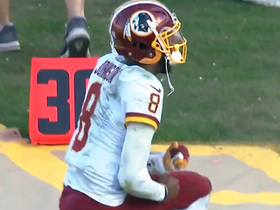 Published: Sept. 6, 2016 at 10:47 a.m.
ASHBURN, Va. -- If 2015 was the year when Washington Redskins quarterback Kirk Cousins surprised the NFL, then this season offers a crucial opportunity to remind us all of what he truly can do. There is no more flying under the radar, no more chances to capitalize on the time-tested benefit of being underestimated. Cousins enters his fifth year knowing full well what's on the line and what needs to be proven. All he has to do now is deliver. What makes Cousins so interesting is that he led the Redskins to the NFC East title in 2015, yet he still has to show this team that he's worthy of being the long-term answer at quarterback. Washington has guaranteed him a one-year salary of $19.953 million -- after designating him as a non-exclusive franchise free agent in February -- but neither side could agree on a new contract during the offseason. So Cousins has to impress his employer all over again, just as he did when he supplanted Robert Griffin III last year. That, by the way, is just fine with him. There are many players who would be miffed that they weren't adequately rewarded after a breakout season, especially those who make their living at a position where it's so hard to find talent. Cousins has the refreshing mindset that if it takes two seasons to win over the Redskins, he'll give them two seasons worth remembering. "I've felt like I've had to guard against that this year, feeling like I have to prove I'm worthy of the opportunity," Cousins said. "As much as you don't want to do that, that's the nature of the business. You have to prove people wrong every day. Otherwise, they're going to find someone else." It's difficult to imagine Cousins taking a huge step backward in his second season as Washington's full-time starter. He finished last year with the team record for passing years in a season (4,166 yards) and threw 29 touchdown passes against 11 picks. 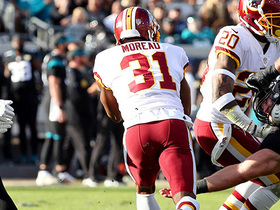 Even better: Cousins hit his stride when the Redskins needed it most. He was a strikingly different player in the second half of last season, as the final eight games produced improvements in his completion percentage (from 66.9 to 73.6), yards per game (244.3 to 276.5), touchdowns (10 to 19) and interceptions (nine to two). That drastic change in performance was certainly enough to affect his negotiating leverage with the Redskins. But the team wanted one more full, 16-game body of work on which to base its offers to potential franchise quarterback -- something that's not unreasonable. The good thing about Cousins is that entering the league as a fourth-round pick and spending his first three seasons as a backup taught him plenty about patience. That quality helped bring him this far and can continue to guide him where he hopes to go next. "It hasn't been an easy path," said Cousins, who was selected in the same 2012 draft that saw the Redskins select Griffin second overall. "It wasn't mapped out and I didn't know what the next year or game would bring -- and I'm still in that position now. I heard a comment a couple years ago from a GM that said you pretty much have to draft your quarterback in the first round. Otherwise, the odds are they won't turn into legitimate starting quarterbacks. I saw that as a challenge that I could prove him wrong. That I could go from a fourth-round pick to being somebody who was productive and leading a team to a lot of wins. That's been the goal and always will be." Cousins also is entering this season in a much better position than he found himself in one year ago. As much as he hoped to play early in his career, he never truly knew what was going to happen as long as Griffin was on the depth chart. Cousins appeared in 14 games in his first three years in the NFL. All that did was give him a front-row seat to the disastrous implosion that killed RGIII's career in that town. It's one thing to want to have a starting job in the NFL. It's quite another when it comes after a controversial player who cost the franchise a bundle of picks (three first-round selections and a second-rounder) in a pre-draft trade flames out. Cousins might have been a breath of fresh air when head coach Jay Gruden named him the starter after the 2015 preseason. That optimism waned quickly when he played inconsistently early. Cousins said the most important lesson he learned last year is that the regular season "is a marathon and not a sprint" and that it's critical to stay the course. This year, he already realizes he is better in so many ways when it comes to understanding his team's offense, including his enhanced knowledge of protection schemes, route concepts, route adjustments and progressions. Don't expect Cousins to feel as robotic as he did at his less impressive points in 2015. He's far more ready to play this game without thinking about what he has to do on every down. His teammates see that, as well. 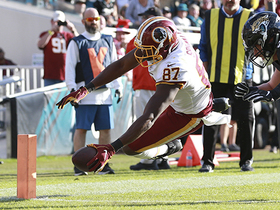 "I've been very fortunate to play with Brett Favre, Aaron Rodgers, Eli Manning and Russell Wilson, so I've seen how they work and their intangibles," Redskins safety Will Blackmon said. "It's the same thing with Kirk. He's the first person here every day. And he's doing everything he has to do to make sure things are right. He truly has the receiver's trust that he'll do the right thing when he's out there." Cousins admits that he doesn't have an answer as to why he so dramatically improved in the final two months of last year. 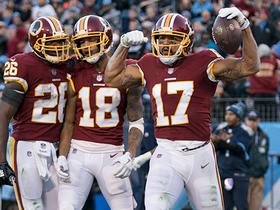 He thinks it might have something to do with the Redskins finding a comfort zone with their offensive identity and playing to those strengths as the weeks progressed. That also sounds a little like a quarterback who's unwilling to pat himself on the back when the opportunity arises. Part of this team's success had plenty to do with the Redskins rallying around a quarterback they respected in ways that never seemed evident with Griffin. Cousins has won that admiration with the daily approach he takes to his job, with the way his career has evolved, with the humility he showed in immediately signing that franchise tender. Most players take their time in accepting the tender, simply because they don't like the idea of the team controlling their futures at a time when they can start a bidding war on the open market. Cousins knew he'd never seen that much money in his life. There was no reason to react as if he was guaranteed to see more. In fact, Cousins recently referred to his rookie season and how much he learned about treading in a world of uncertainty. "I didn't know what would happen when my career started," Cousins said. "When I was drafted, I remember [former Redskins offensive coordinator] Kyle Shanahan calling me and saying that he had coached Matt Schaub in Houston and Matt's story had been that he was drafted in Atlanta behind Michael Vick. Matt ended up playing well when he got small opportunities and eventually got traded to Houston. Kyle challenged me to have a path like that, where you play well enough in your opportunities that some other teams would take notice. That was what I was hoping for and it ended up being here." That seems to be good enough for Cousins right now. He's beaten the odds, proven the skeptics wrong and managed to find a home as a starter in the National Football League. The next step is to build on that momentum, to turn one impressive season into a career filled with accomplishments. As long as Cousins does that, the money will take care of itself.